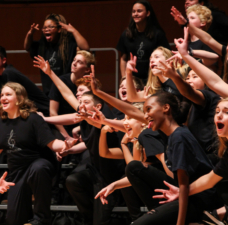 Barbershop youth camps and clinics are terrific for mentoring the next generation of singers. But who could guess that the mentored would in turn so quickly become the mentor! 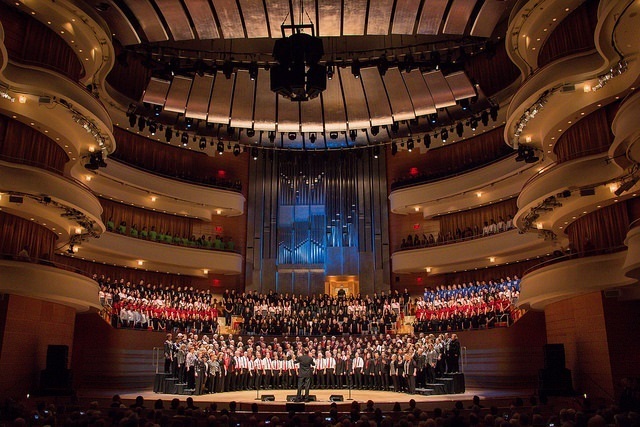 Charlie Lotspeich is a middle school choir director in Coppell, Texas. 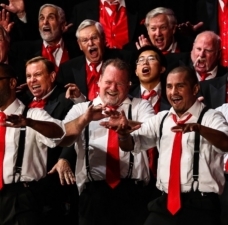 When he himself was in high school, his choral director started him on barbershop, ultimately leading him to attend various Harmony Explosion camps. The encouragement of Brooks Harkey, a devoted supporter of youth programs, brought Charlie to join the Vocal Majority when he enrolled at the University of North Texas, and eventually his love of the barbershop lifestyle grew into a career in music education. 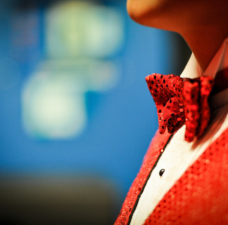 Along the way, he picked up a fifth place collegiate quartet medal with Phantom 5th in 2013. As a young teacher, Charlie incorporated some light, fun tag singing at the end of classes. He came across four youngsters with exceptional pitch-matching ability for their age, who quickly absorbed all the barbershop he threw at them. Soon, he was rehearsing them twice a week, and Polaris was born. Polaris was the 28th quartet to compete at the Southwestern District contest that day, and the packed house gave it up for them! 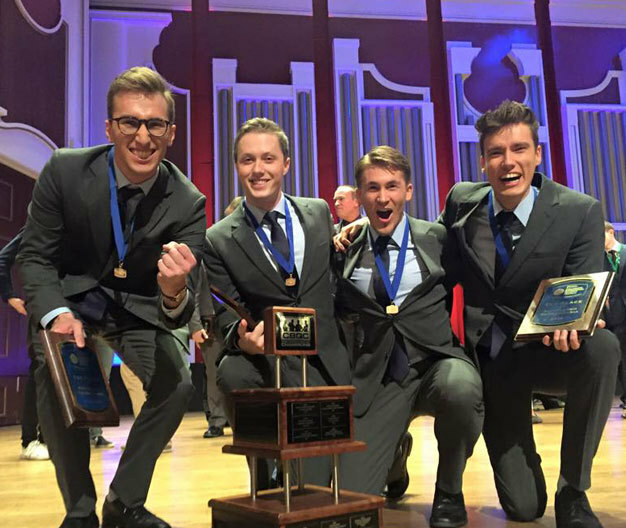 The quartet mingled in the lobby for hours, singing for anyone who would listen and passing their top hats, ultimately raising $1,700 to advance to the YBQC championships next summer in Nashville next summer. 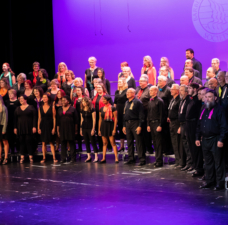 A life path directed into music… a second generation of young singers grown from the seeds planted in high school… and a performance to delight and move hundreds. 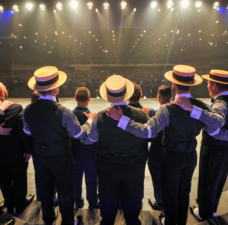 That’s the kind of intergenerational magic at the heart of our barbershop experience. We look to big things from the boys and from Charlie, and we’re thankful for mentors like Brooks Harkey, whose influence extends further than we might imagine in the moment.